Whether it’s the 2016 presidential election or the numerous times the mainstream media has been forced to apologize over the last few months, the liberal Democrats just can’t seem to catch a break. They have suffered defeat after defeat, and if they weren’t so hell bent on destroying the country from the inside out, it would almost be humorous. Recently, the liberals suffered yet another devastating blow when the website GuideStar.org, which is an organization that provides users with financial information regarding charities and nonprofit organizations, was caught publishing inaccurate information on conservative groups given to them by the left wing Southern Poverty Law Center. The false data from the SPLC labeled many mainstream organizations, such as the Family Research Council, as hate groups. Of course, the liberal Democrats define “hate groups” very differently than conservatives do. To conservatives, an example of a hate group would be an anti-Semitic organization or a white supremacist website. This is the same for liberals as well, only their definition of a hate group also includes any group that rejects the notion of white privilege, believes in traditional marriage, or somehow fails to align themselves with left wing progressivism. In other words, unless you subscribe to the liberal ideology, you are less compassionate than the left, less tolerant, and less virtuous. If it seems like GuideStar is run by a left wing clown, that’s because it is. It turns out that GuideStar CEO Jacob Harold is a liberal activist who has participated in protests against President Donald Trump on several different occasions, such as the “Women’s March” that took place just after Inauguration Day. Harold even describes himself as a “social change strategist” on his biography page on GuideStar.org. If this man wanted to hide the fact that he’s a far left Democrat, then he didn’t exactly do a good job of it. It’s extremely ironic how the left claims to be against fascism while simultaneously participating in an effort to silence those with whom they disagree. They have never been interested in working with conservatives, and they’re not exactly going to cooperate with President Donald Trump anytime soon. What they seek is the destruction of the conservative state of mind, and they know that they will have to go to extraordinary lengths to make that happen. 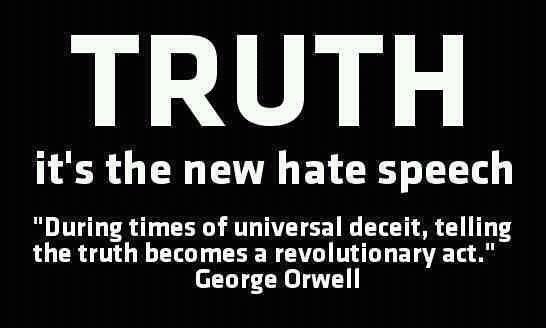 Modern day leftists and especially those within the mainstream media will lie, slander and mischaracterize anyone and anything, so long as it means the accumulation of political power and the advancement of the progressive agenda.